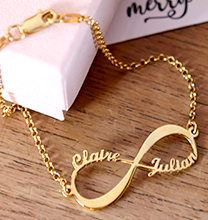 Give your Mum a beautiful Personalised Mum Charm Necklace the next time you want to tell her how much you love her. 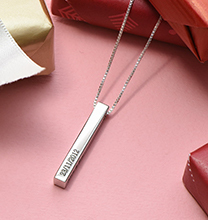 This beautiful mothers necklace features a vertical bar as well as a disc with baby feet that you are able to engrave. 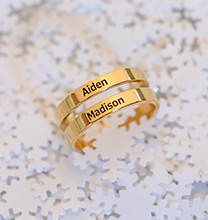 Here's a tip, engrave the birthdate of the child on the baby feet charm and the name on the bar pendant. 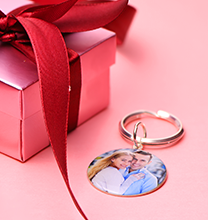 To make this necklace even more personal, we included a very special angel wing charm as well as a birthstone charm. 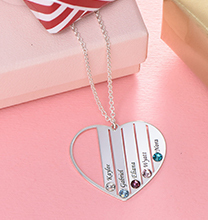 Any Mum will be proud to wear this charm necklace. Beautiful gift, purchased for a family member who had a still born baby. This necklace is absolutely beautiful and perfect for anyone who has sadly lost their baby. I bought this for a gift for a close family member who sadly lost her son in September and this beautiful necklace is the perfect keepsake for her to remember him by. 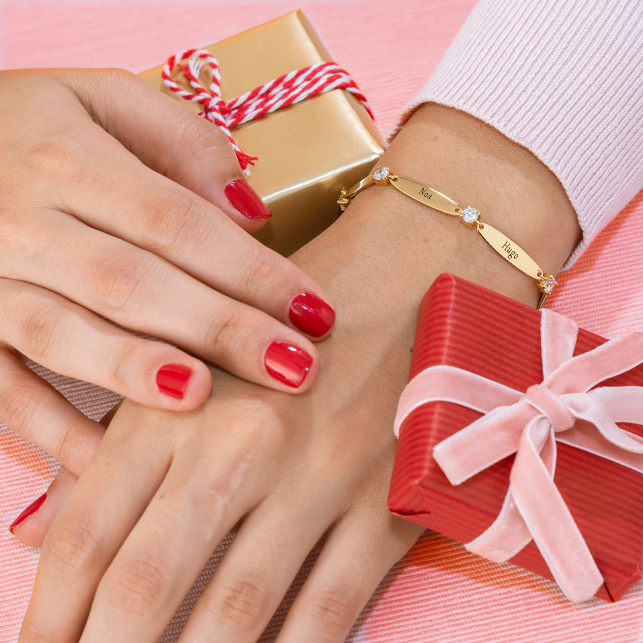 excellent quality jewellery, and service.